We recently went on a road trip to the Thousand Islands area. It was about a three-hour drive each way. As all parents and caregivers know, this kind of trip calls for a variety of entertainment sources for the kids. Books, music, movies, toys - we pack it all! But their favourite type of entertainment comes from the game apps installed on their iPads. For this trip, my daughter was excited to try out a new game. Safari Tales, a game for children ages four to 10, was released in July. 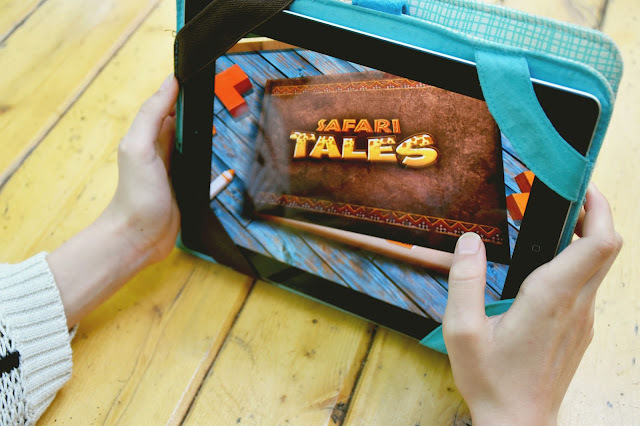 What's great about Safari Tales, from a parent's perspective, is that it has an educational focus. From a kid's perspective, it's all about fun. 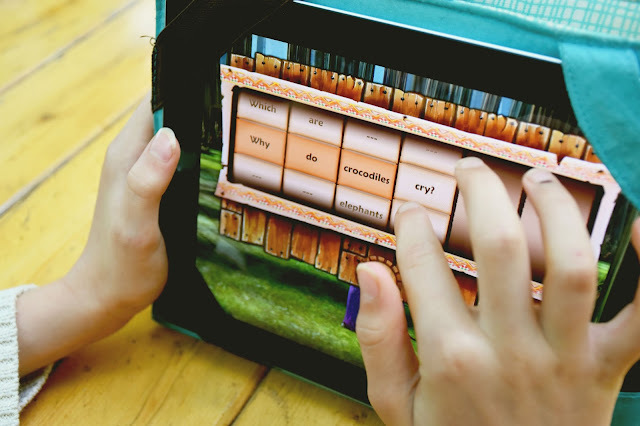 It's a colourful, 3D learning-through-play app that helps to develop reading and vocabulary skills by making your child both adventurer and storyteller. Available for iOS and Android, Safari Tales has your child join five baby animal friends as they explore a vast African savannah. Initially the player must find some of her new animal friends by moving through the grasslands. As she engages in adventures, she learns facts about the environment and her animal friends. At first I feared that the game might be too "young" for my 10-year-old girl. But it has since become a favourite for her. She plays it at least once a day. 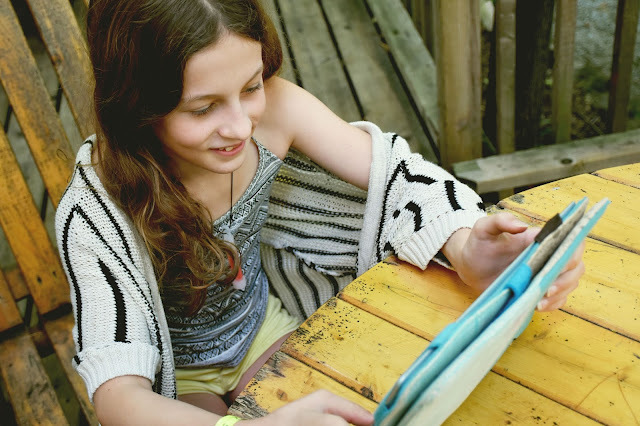 She loves the fact that her adventures and discoveries, at the end of each session, turn into a colourful digital storybook that she can then read to us. All of the tales can be stored so she can read them repeatedly. 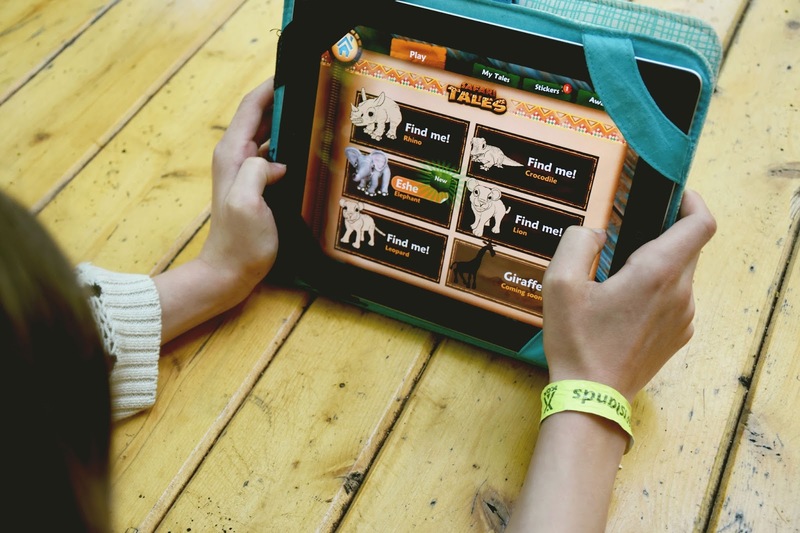 Safari Tales was developed with teachers and students to ensure that the content is age-appropriate and the game is a whole lot of fun. Safari Tales currently has five animal friends - a rhino, elephant, leopard, crocodile and a lion, with a giraffe coming soon. One seriously fun part of the adventures is customizing your animal with patterns and colours. (I confess I enjoyed trying that out myself!) I was also impressed with the high quality of the images and sound (both music and voice). 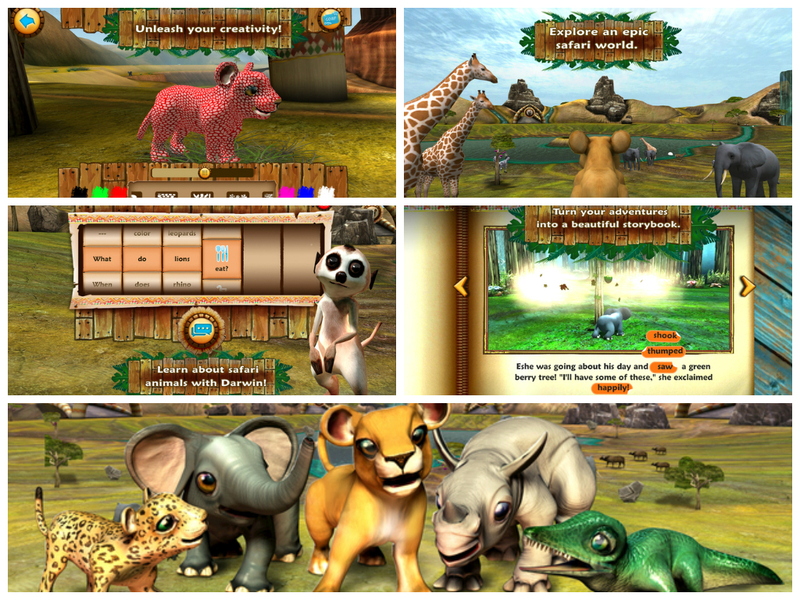 Safari Tales allows players to construct different questions (over 1,000 of them! ), which are then answered aloud by Darwin, the in-game guide. This aspect of the game builds knowledge and literacy skills such as reading, sentence structure and creative thinking. 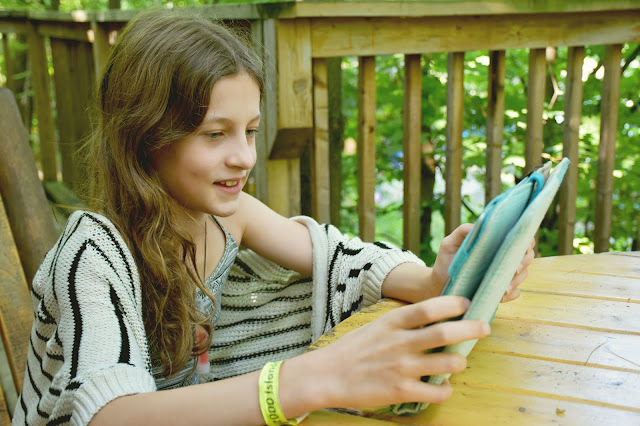 The game's Parent Corner allows parents to restrict access to the game through a PIN, set the child's reading age and choose how long their child can play the game. Parents may also receive notifications each time a new creative artwork is produced in the game, meaning they can monitor their child’s learning and celebrate their creativity. Created by Kuato Studios (which was founded in 2012 by the creators and investors behind the famous Siri) Safari Tales follows in the footsteps of the company's award-winning Dino Tales™. 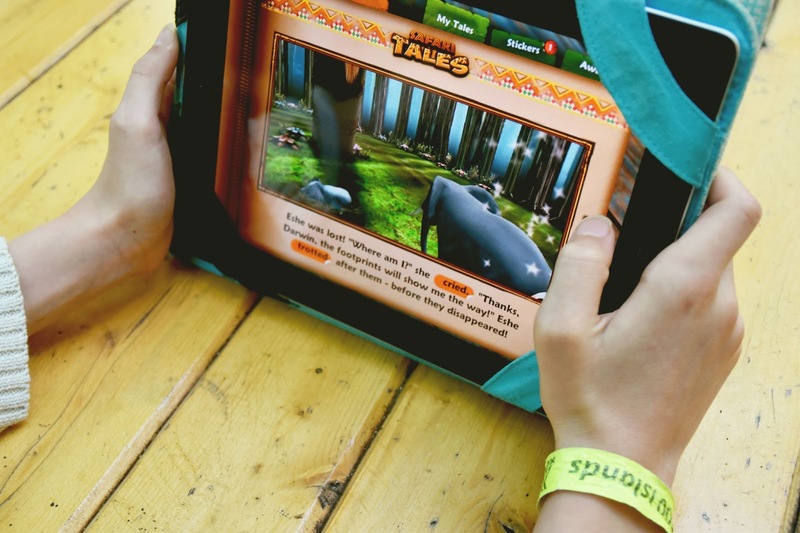 Safari Tales has been the top-selling paid iOS game in Apple’s kids category, entertainment category, as well as the top-selling paid app overall in the UK. My only concern with Safari Tales is that I installed it on my own iPad because my girl's iPad has a broken screen. Now she keeps asking to use my iPad every day! Do you know a little adventurer who would like this game? *This is a sponsored post. All opinions are authentic and my own. 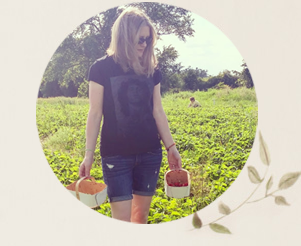 Thanks for supporting the awesome companies that partner with Woman in Real Life. My nephews would love this app!! My girls would definitely enjoy this app. It's great because it appeals to boys and girls. I will show my 10 year old daughter the review & see if she would like to try it. 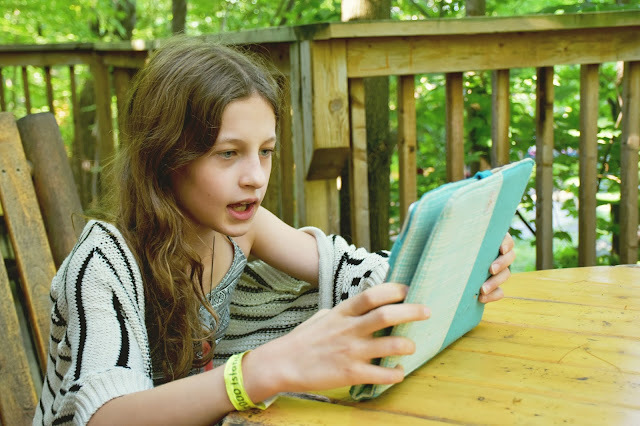 The only problem is we have a family iPad and she has to share with her 4 other sisters so if it's as popular as you say, this could be an issue! I could see my niece getting into this! I feel that my son, who is 3, would love this app. I could see my younger brother play it with my son. (He's 10). 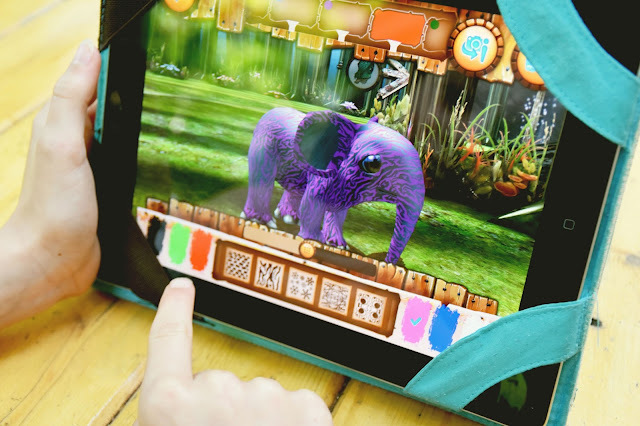 My grandchildren would love this app.They are always looking for new games and I like that this one is also educational for them. My nephew would love this App! This would be good for my son.